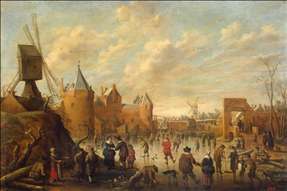 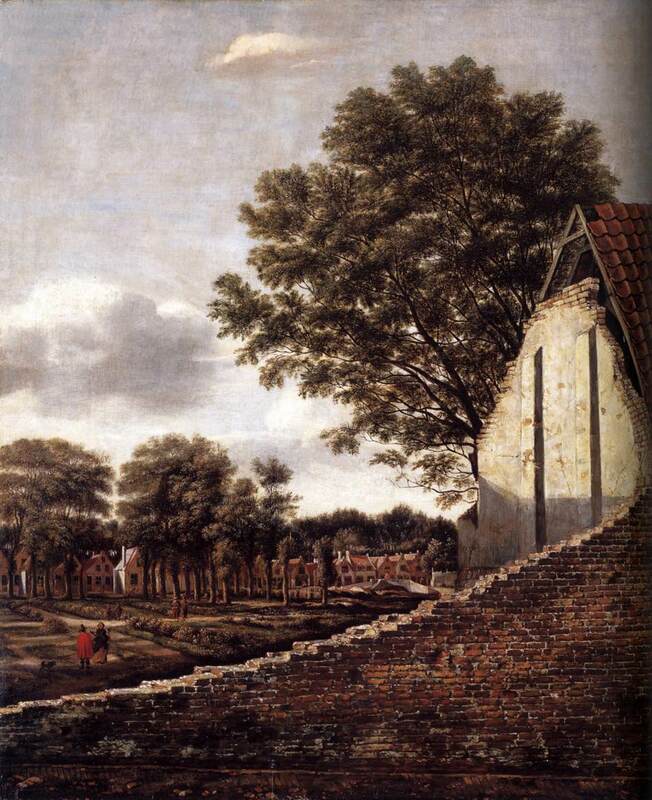 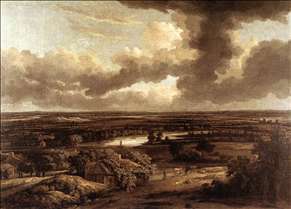 Winter in a Dutch Town by DROOCHSLOOT, Joost Cornelisz. 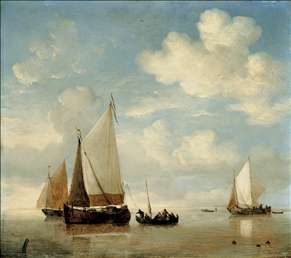 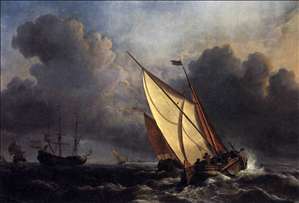 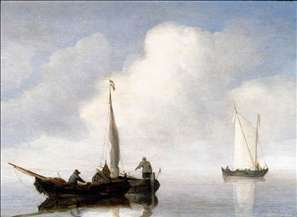 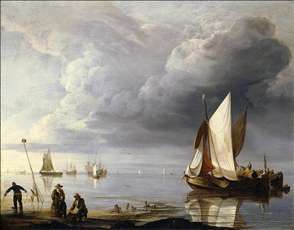 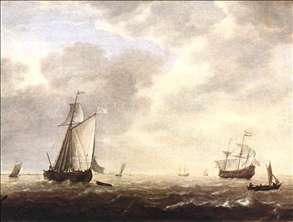 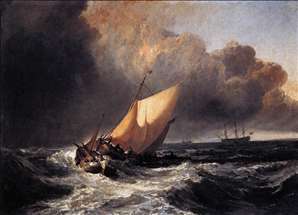 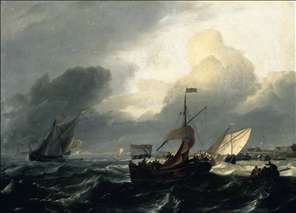 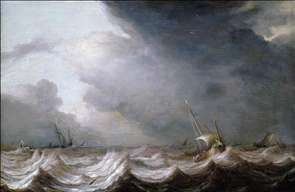 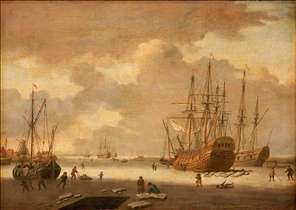 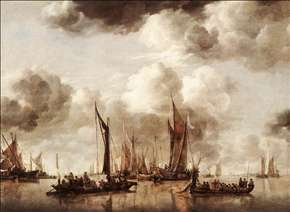 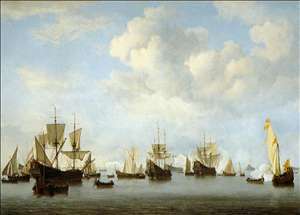 Small Dutch Vessels in a Calm by DUBBELS, Hendrik Jakobsz. 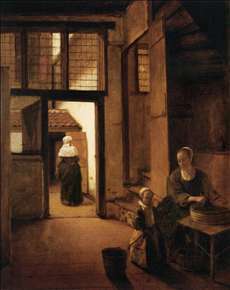 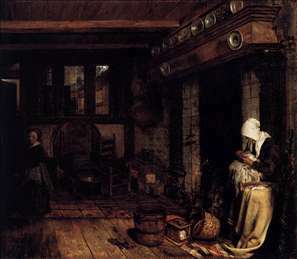 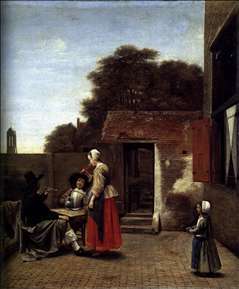 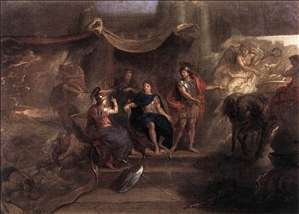 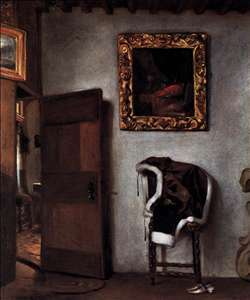 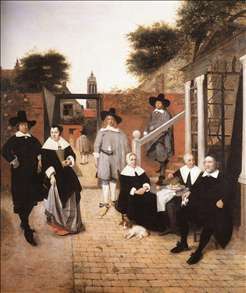 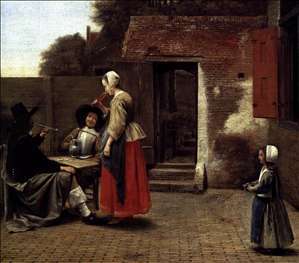 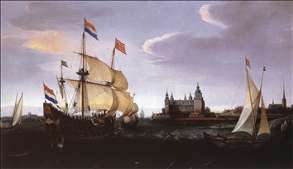 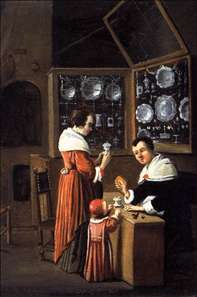 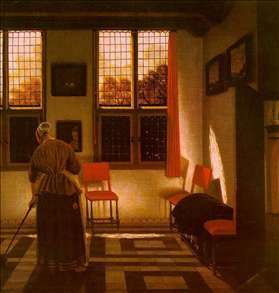 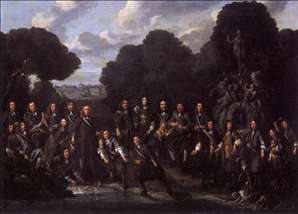 Arrival of a Dutch Three-master at Schloss Kronberg by VROOM, Hendrick Cornelisz. 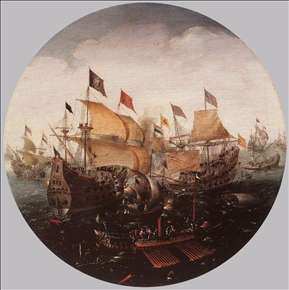 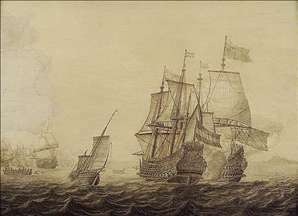 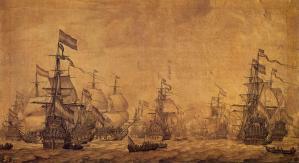 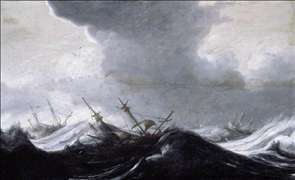 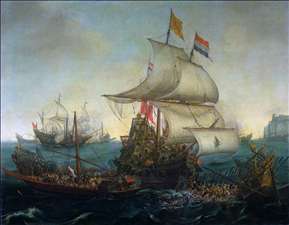 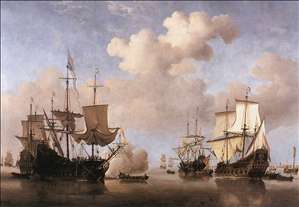 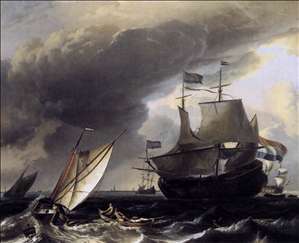 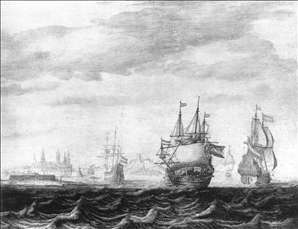 Dutch Ships Ramming Spanish Galleys off the Flemish Coast in October 1602 by VROOM, Hendrick Cornelisz.